WP All Import is a plugin that allows you to import data held in CSV and XML files into WordPress in order to create and populate posts, custom fields, taxonomies, user profiles and much more. The files can be uploaded into WordPress or accessed from a URL, with the option to import them on a scheduled recurring basis. Find out what this WordPress data import plugin and the available add-ons can do in our WP All Import review. WooCommerce Multilingual is a newly released plugin from WPML, the developers behind the popular WordPress Multilingual plugin. This free plugin allows you to use the great features of WPML to build a multilingual WooCommerce powered eCommerce site. If you want to combine the best multilingual plugin for WordPress with one of the most popular store builders then this plugin is just for you. 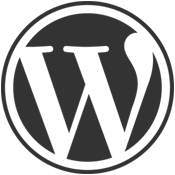 WordPress is an extremely powerful publishing platform which many use to design and build professional eCommerce websites. Below you’ll find our collection of some of the best WordPress eCommerce themes available on the market today. 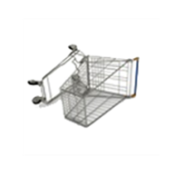 This plugin fills a surprising gap in the market for the WooCommerce eCommerce platform. Prior to the release of the Order Delivery Date plugin, it was not easy for customers to specify a delivery date when placing an order. Thanks to this plugin from Tyche Softwares, which joins their growing list of WooCommerce addons, it is now possible for customers to not only select a delivery date, but also a delivery time, or time slot when checking out on a WooCommerce powered WordPress eCommerce store. Brad Touesnard just published a guest post on the WooThemes blog recently describing how his plugin, WP Migrate DB Pro can be used to save time and headaches when developing with WooCommerce. On review today we have the WooCommerce Booking & Appointment Plugin from Ashok Rane at Tychesoftwares.com. Booking and appointment plugins are very much in demand right now, so this plugin is a very welcome addition. WooCommerce itself has been growing very rapidly and is probably the most popular e-commerce system for WordPress nowadays, so the idea to create a booking add-on specifically for WooCommerce makes a lot of sense. 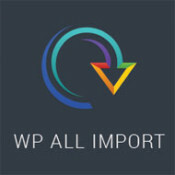 Earlier on this year we reviewed WP All Import 3, the CSV and XML import plugin for WordPress. In this review, we’re going to take a closer look at a new addon which has just been released for WP All Import. 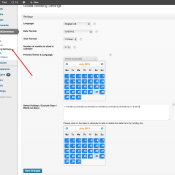 When using WooCommerce, it will by default add a form for the client to enter his billing details. Now for some cases we might not want that, for example when purchasing a simple virtual product. We just want to send the user to PayPal without any hassle. 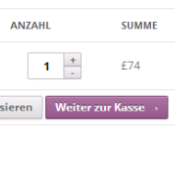 There is no option within WooCommerce to disable the billing details, instead we’ll do this programmatically using hooks supplied by WooCommerce. WooCommerce is one of the most popular eCommerce plugin for WordPress. Choosing a theme that supports the plugin is very much essential. In this post, we take a look at the premium WordPress themes that have been integrated with WooCommerce.